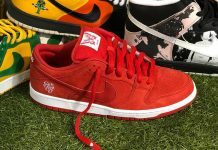 Nike SB Dunk Low "Bred"
The Nike SB x Air Jordan series isn’t anything new and lately, we’ve been seeing quite a few SB’s featuring some of the most recognizable colorways ever featured on any Air Jordan 1. 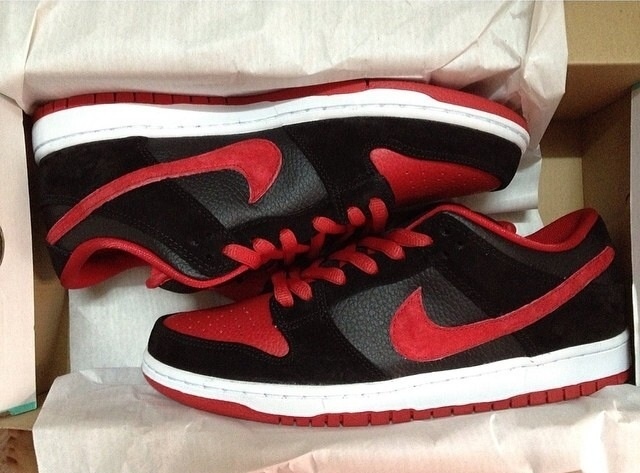 Now, there’s a Nike SB Dunk Low “Bred” that gives a nod to the classic “Bred” colorway that kicked off the AJ1 series in 85. No word on when these babies will release but stay tuned with Modern Notoriety for more news on this upcoming Dunk Low.